Do you live in the Boca/Pompano Beach/Ft. 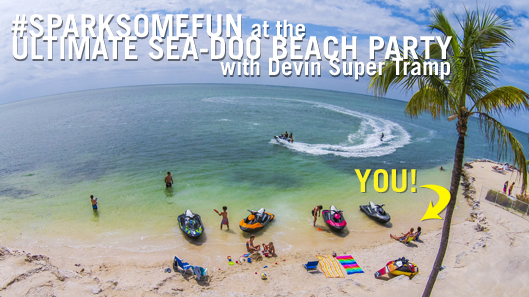 Lauderdale, Florida area and would like to join the Sea-Doo event team at the Ultimate Sea-Doo Beach Party? AND be in famous YouTube filmmaker Devin Super Tramp’s next hit video? We are looking for 10-15 beautiful Sea-Doo fans to join our beach party on Thursday, May 28 at Quiet Waters Park in Deerfield Beach, FL. Join the fun and be part of Devin’s next hit video. We will have fun, food, and some Sea-Doo giveaways. This is a full day commitment as the party will go from 8AM to 5PM. 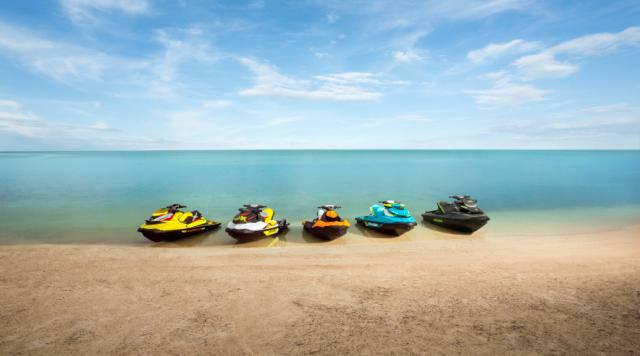 If interested, please send an e-mail telling us why you would love to join the Ultimate Sea-Doo Beach Party and include a current picture of yourself to info@look-marketing.com. Come with us to #SPARKSOMEFUN!